Large supply baskets are a great way to store loose supplies, crafts and more. Ideal for school, office and home use. Stack easily for storage when not in use. 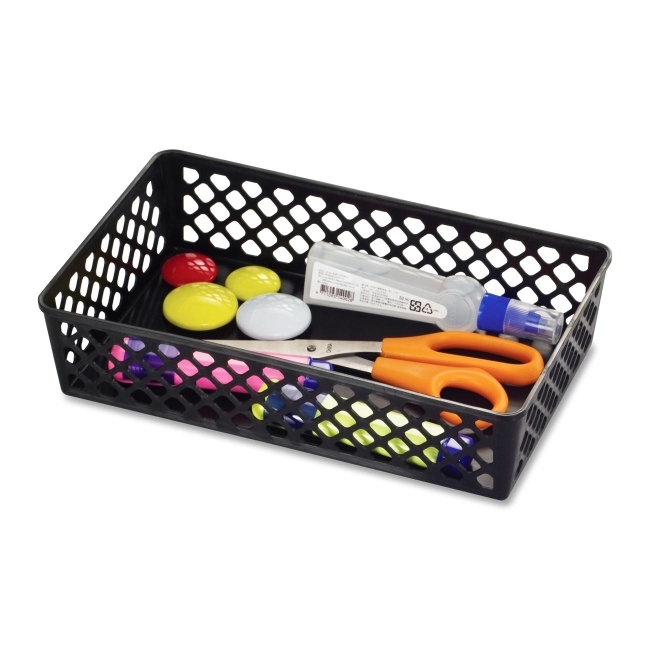 Baskets are made of plastic with post-consumer recycled material.